When the deadly earthquake, measuring 7.8 on the Richter scale, struck at 10.47 a.m., many buildings in central Napier and Hastings collapsed immediately. In terms of loss of life (256), it remains the worst civil disaster to have occurred in New Zealand. Among the buildings destroyed were Napier’s cathedral, public library and nurses’ home, where clerical staff and off-duty nurses died. In Hastings, 17 people died when Roach’s department store collapsed, and eight when the front of the Grand Hotel fell into the main street. Fifteen died at an old man’s home near Taradale, where rescuers pulled a 91-year-old man alive from the rubble three days later. Nine students died in the wreckage of Napier Technical College and seven at the Marist Seminary in Greenmeadows. Fire broke out in Napier’s business district shortly after the earthquake, and once the reservoir emptied, firefighters were powerless. Flames gutted almost 11 blocks of central Napier, killing some people who were still trapped. Rescue parties, boosted by sailors and soldiers, worked desperately to reach those trapped in wrecked buildings. Continuing aftershocks made such efforts dangerous and some rescuers were killed or injured as more buildings collapsed. With Napier’s hospitals badly damaged and unusable, medical authorities set up makeshift surgeries at the botanical gardens, and Hastings and Napier Park racecourses to treat the wounded. Two naval cruisers arrived from Auckland on the 4th with medical personnel and supplies. That day the army set up a tent camp for 2500 people. Refugee camps were created around the North Island for women and children, who were encouraged to leave the region. Able-bodied men were required to stay to help with searches, demolition and clean-up work. The official death toll of the Hawke’s Bay earthquake is 256 (161 in Napier, 93 in Hastings, two in Wairoa), although there are 258 names on the earthquake memorial in Napier. The earthquake ultimately had some positive outcomes: the 2.7-m uplift drained much of Ahuriri Lagoon, making land available for farms, industry, housing and Napier Airport; and much of central Napier was rebuilt in an art deco style which would begin to attract tourists half a century later. 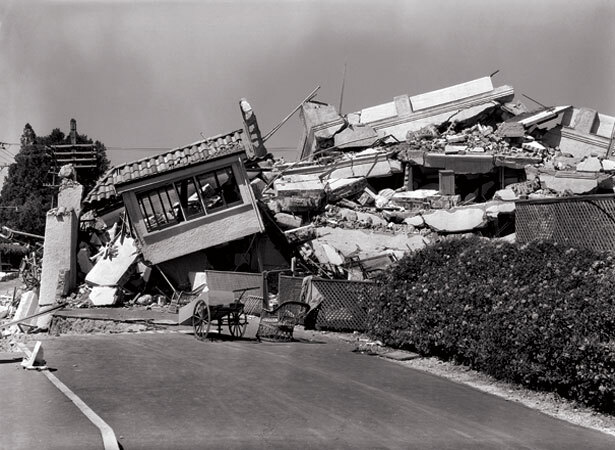 We have 8 articles, related to Hawke's Bay earthquake strikes.